Hi everyone! How is your week going? I'm excited for the weekend, and have a lot to share with you today! 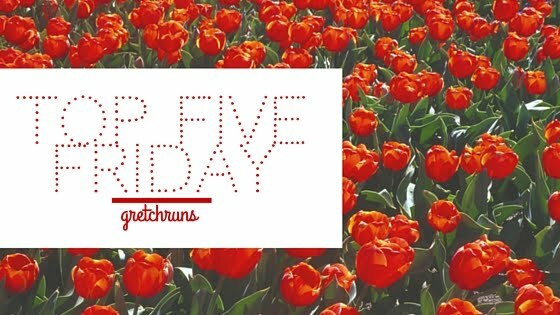 I'm also going to be sharing one thing that is most definitely NOT a favorite, so stay tuned for that. I hope you all have a great weekend! I still can't get over the excitement of the Olympic Trials from last weekend! Track and Field had some incredibly exciting races (heck- all of them were nail biters), but the top moment for me had to go to Brenda Martinez diving to the finish line to make it on the 1500m team. In case you didn't hear, she was so close to making it on the 800m team earlier in the week, but got tripped up in the last few hundred meters to lose her place. Her attitude afterwards really inspired by me. Instead of feeling down and out about what happened, she moved on and said that the track doesn't care about her feelings. I was cheering for her so loudly during the race, and I can't wait to see her in Rio! Another event that had trials last weekend was women's gymnastics. This two-day event was filled with tons of highs (Simone Biles dominating every apparatus) and some lows (Gabby Douglas falling off the balance beam twice, but luckily nailing every other event). Earlier in the week I watched the documentary The Ranch, which gives a great inside look at all of the gymnasts, so I was thrilled to see who ended up making the team! I'm hoping more gold is in Team USA's future! Well, guys, it's officially sales season! 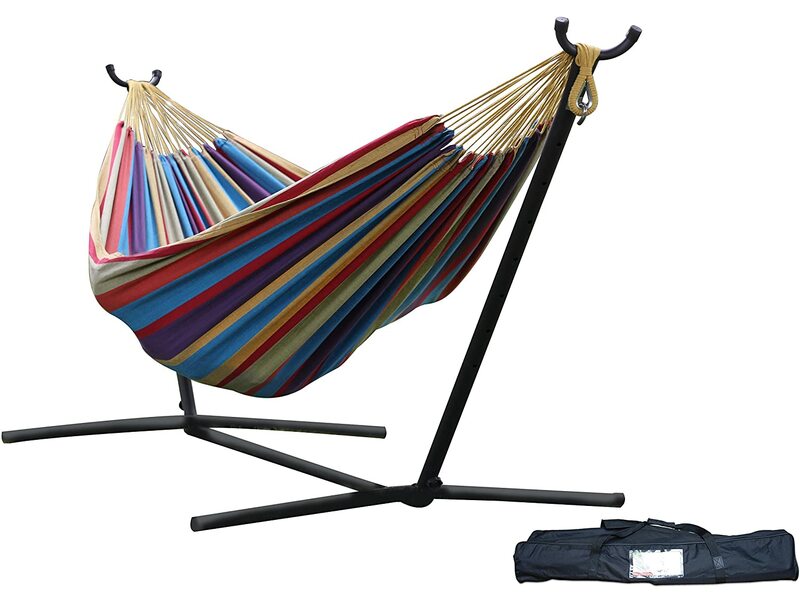 Earlier this week was the annual Prime Day on Amazon, and I decided to buy a Hammock! It's always been a silly dream of mine to sit on my back deck, sipping a glass of wine, listening to jazz music while swaying in a hammock. Now that dream can be a reality and I'm super excited about it! I'll be sure to report back as soon as the hammock comes in. Nordstrom also just started early access to their Anniversary Sale! I've never shopped it before, but I need to pick up some staples after going six months in a no buy. Here's what's on my wish list (including some things that I will never buy, but a girl can dream...right? Hunter Rain Boots : My rain boots are really old and have holes in the soles, so I'm thinking it's time to get a new pair! Hunter rain boots are supposed to be really high quality, so I might invest in a pair while they're on sale. Kate Spade Stud Earrings : I don't wear earrings very often, but these are so gorgeous! Nike Juvenate Sneaker : I usually just wear my old running shoes to cross train, so it might be a good idea to get a specific pair for other activities. I absolutely love the rose design on these, and they're a terrific price on sale! Rails Plaid Shirt : I have a few cheap plaid shirts, but I've been lusting after this one for the past year! I've seen a few people wearing it, and they all rave about the quality. It looks really cozy and I feel like it would be a staple in the fall! Billabong Plaid Shirt : For a more budget-friendly option, I love this flannel from Billabong! Joe's Curvy Skinny Jeans : Skinny jeans are a staple in my wardrobe, and I don't really have any high quality pairs! The majority of the ones I wear now are from Forever 21 that stretch out after one use, so I think it's time to get a better quality pair that will last for years. These look promising, but I'll have to try them on in person to see how they fit! On Wednesday, Dan and I went out for dinner at the Walnut Grill! There are a few locations around the Pittsburgh area, but this was the first time that we went. Ever since Dan moved to Pittsburgh three years ago, we haven't really gone on "dates" very often. I decided we should make an effort to have monthly dates, where we take turns planning something special. I apologize to any die-hard Pokemon Go fans out there, but I hate this game! I think it's great that people are getting out and exercising, but all I see when I go for a lunchtime walk is people staring down at their phones (sometimes walking into things) and not paying attention to anything else. Everyone on my team at work plays and talks about it a lot, and I feel like I'm the only person in the United States right now that can't get into it. The more people talk about it, the less I want to download it! What do you all think? Are you Pokemon GO or Pokemon NO!? I just got this dress from J Crew Factory (on final sale) and I absolutely love it! It's loose fitting and comfortable, which is just what I want to wear when it's close to 100 degrees outside. 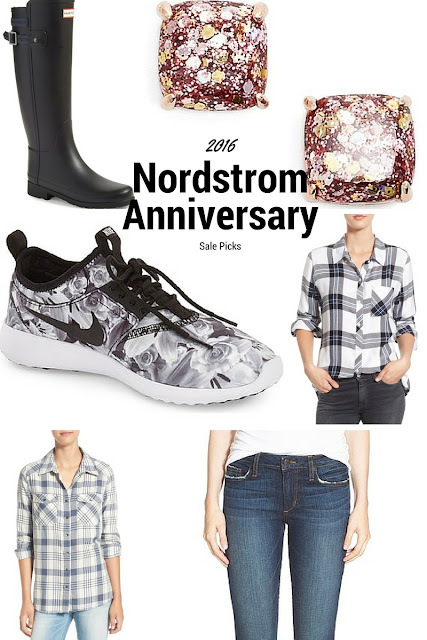 Are you going to shop the Nordstrom Sale? Get anything with Amazon? I will not play Pokemon Go because 1) I don't have an iphone and 2) I wasn't into Pokemon when I was younger so I have no idea who/what they are. However, I was intrigued to what it was all about so i've been trying to read articles about how to play. I don't understand how people are "finding" pokemon? There's a lot that goes into it, so it's a really interesting game! I just don't like how people are attached to the screen and ignoring real life. Pokemon NO for sure. I can't stand when people talk about it haha. And that J Crew dress is GORGEOUS & gorgeous on you!! Great find! LOVE that dress! Also, very jealous of your future hammocking days! So I saw people playing pokemon earlier this week when out for dinner and it was kind of funny, but kind of creepy at the same time to see dozens (and dozens) of people staring at their phones wandering around aimlessly. I think it's a fun concept though! I haven't watched any of the olympic trials but I'm so excited for the track and field events. Love that dress and definitely give a hammock update! A few weeks ago we were considering getting one for a gift for someone. I agree..really neat concept but irritating at the same time! I didn't find anything calling my name for Prime Day this year, so nothing for me. I am absolutely loving your J Crew Dress though... I have to get one! I'm also a Pokemon No, but I am a little too old to remember Pokemon so it's not like I have a connection to it or anything. I think it's great that people are playing and getting outside... Personally, I haven't seen anyone playing it, but that could be because I work in a National Park and we don't have cell phone service there, haha! It's insane downtown where I work! You're lucky no one's stumbling around a national park playing it haha! That's good to hear! I ended up buying the jeans so I hope they work out! I am definitely team Pokemon NO. I don't get the point. Honestly, I have 1 game on my phone, that I use for super boredom on places like planes when I'm tired of books & movies & music. I can't really see myself getting into a game I need to constantly play. I have plenty of real life things to keep me occupied. Not fake throwing Pokeballs at fake characters. END RANT. Haha. Totally Pokemon NO. It is great that it is getting people moving, but at the same time it is kind of sad to me that it takes a video game to get people off the couch and moving. Plus, I keep seeing stories of people disturbing respectful places all in the name of this app. Happy Friday! I'm with you! I cannot get into this Pokemon craze. In my town there's a bar crawl this weekend about Pokemon Go... what.. haha. And I LOOOVEEE the Olympic gymnastics! I'll have to check out that documentary. My entire Sunday night was spent watching the trials.. I get so into it haha. Cute dress! I loved the trials - so inspiring. I was actually supposed to go but had some work commitments - boo! ah I'm so obsessed with that dress, Gretch! You'd look so cute in Hunter Boots and I love love Joe's jeans- check out Hudson jeans too they're my favorite! I'm still not sure whats going on with this pokemon go... in fact I thought pokemon died in the early 2000's? You're so sweet Margaret! And thanks for the rec! I think I've tried Hudson but they're too long on me :( Pokemon should have died long, long ago! i grew up with pokemon and love it! but not pokemon go. no thanks. people are saying it's getting them up and walking or out.. yeah, straight into accidents and being even more anti social than you were before. a coworker walked straight into a glass door, i kid you not. i downloaded the game before i knew what it was about, i am happy to sit on my couch and play a game when i feel like it, i don't want a game to take over my real life. i have hunters - i am way too cheap to pay full price, i got them when costco had them for $80 and i seriously wear them all the time... okay not in summer lol but really i am so glad i finally caved. i don't think i could have paid close to full price because like i said, cheap, but they are definitely high quality and worth the cost in my opinion. Hahha seriously! That's so sad about your coworker...I'm afraid someone's going to walk straight into the river here! I was never into Pokemon growing up, so needless to say I don't understand Pokemon Go. I've seen so many people on my runs just following their phones, searching for Pokemon. But whatever - as long as they're not harming anyone (or themselves, which seems to be the real issue). I'm sure though like Angry Birds this will pass with time also. Those earrings are gorgeous! Kate Spade makes the best earrings - affordable, cute, a little quirky, and high-quality. Just say no to Pokemon Go. But I love that sunset! I'm super excited for the running, gymnastics and swimming events at Rio. I'm also a sucker for water polo, beach and indoor volleyball, particularly when logging long treadmill runs on Sunday afternoons. So many good sports to watch! I'm SO excited! Ah, you won't believe this... I was eyeing the hammock too for Prime Day, but I wanted to get a Garmin more (which then ended up NOT going on sale here in the US - so I bought it on Amazon.de (German site) but have to wait until September for my parents to come and bring it to me). Also: Pokemon Go? JUST NO. The hammock is pretty good! I'm happy with it, but Dan prefers the kind that lays flatter instead of sinking down if that makes sense! I hope you like the watch and it's worth the wait! The dotted dress is so cute on you. Also love the sunset picture. It's great that you and Dan are doing dates. Thank you! Dan said I looked like a dalmatian haha! LOVE that dress and I'm totally team Pokémon NO!